Sweetwater has been experiencing very rapid population growth throughout the past decade, ranking as one of the fastest growing cities in the country. This represents a prime opportunity for healthcare providers of all specialties to establish new patients bases or grow their current practice. However, understanding Florida’s real estate market, key trends in the industry, and the best practices in real estate site selection is crucial in finding Sweetwater medical office space that will best position a doctor for success. Whether a client is looking for Sweetwater medical office space for lease or for sale, or looking for landlord/seller representation services, Florida Medical space’s professionals are uniquely talented and experienced in getting the job done well. With a growing population and a budding healthcare industry, the decision to practice medicine in or near Sweetwwater is often made very eagerly. However, capitalizing on new opportunities in healthcare relies heavily on expertise in navigating modern healthcare real estate trends. One factor to consider when searching for Sweetwater medical office space for lease or for sale is whether a doctor’s scale, patient demographics, and budget would best be met with shared medical office space. Medical office buildings are on a sharp rise in the country for their capacity to boost referrals, efficiency, and recognition for healthcare professionals and companies. 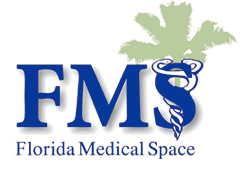 Florida Medical Space has extensive experience developing, managing, and representing these buildings and therefore is able to guarantee our professionals will fight for the best deal possible. Another key trend in healthcare is the rise of convenient, consumer-facing real estate and facilites. Each year, more and more healthcare practices are adapting to the changing demand of patients, seeking premier visibility, accessibility, and high-quality facilities. If this is a priority for a client we do not settle until we find medical office space in Sweetwater that fulfills their vision. The healthcare real estate market has changed tremendously over the many years our professionals have been helping clients, and it continues to change today. Each city and county in Florida has unique real estate markets; it is crucial for healthcare professionals to have an agent on their side to negotiate advantageous tenant improvement packages, rental agreements, and lease terms. Florida Medical Space can assist with any real estate need for medical office space in Sweetwater. Whether a client is looking to lease, purchase, sell, or develop property in the area, we can leverage our expertise to allow doctors to focus on what matters most. Please learn more about each of our services href=”https://floridamedspace.com/services/”>here.